Chinua Achebe's books are being read throughout the English-speaking world. They have been translated into more than fifty languages. His publishers estimate that more than eight million copies of his first novel Things Fall Apart (1958) have been sold. As a consequence, he is the best known and most widely studied African author. His distinguished books of fiction and nonfiction include No Longer at Ease, Arrow of God, Morning Yet on Creation Day, Christmas in Biafra, and others. Achebe often has been called the inventor of the African novel. Although he modestly denies the title, it is true that modern African literature would not have flowered so rapidly and spectacularly had he not led the way by telling Africa's story from a distinctively African point of view. Many other Africans have been inspired to write novels by his example. 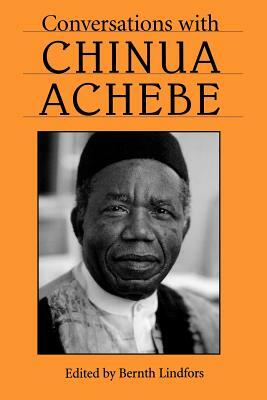 The interviews collected here span more than thirty years of Achebe's writing career. The earliest was recorded in 1962, the latest in 1995. Together they offer a representative sample of what he has said to interviewers for newspapers, journals, and books in many different countries. Through his own statements we can see Achebe as a man of letters, a man of ideas, a man of words. As these interviews show, Achebe is an impressive speaker and gifted conversationalist who expresses his ideas in language that is simple yet pungent, moderate yet peppered with colorful images and illustrations. It is this talent for deep and meaningful communication, this intimate way with words, that makes his interviews a delight to read. He has a facility for penetrating to the essence of a question and framing a response that addresses the concerns of the questioner and sometimes goes beyond those concerns to matters of general interest. "People," he says, "are expecting from literature serious comment on their lives. They are not expecting frivolity. They are expecting literature to say something important to help them in their struggle with life. This is what literature, what art, is supposed to do: to give us a second handle on reality so that when it becomes necessary to do so, we can turn to art and find a way out. So it is a serious matter."